Last week, our entire team gathered in Copenhagen for a three-day team meeting. This was our first big ‘milestone’ as a team, because for the past six months, we have all been engaged with identifying and collecting evidence for our project. We have gone through and photographed thousands of documents in Italian and Danish archives, from inventories and account books to notarial contracts, as well as looked at visual images in museums and printed books, and surveyed printed costume and pattern books and books of secret, searching for evidence of lower class dress, fashion and beauty. Michele Robinson presenting us some of the sources she has been working on. So last week, it was finally time to put all the sources together, and to assess how we want to use them and in what ways we will make the sources available for the public. Our researchers Stefania, Michele and Anne-Kristine broke down the sources in statistics, and I was extremely pleased about the results. So far, we have 780 artisanal inventories for Italy and 418 for Denmark that we can transcribe and use as a quantitative data. We have also identified 585 Italian printed books that can be used for qualitative analysis and experiments. In addition, we have many types of sources that support our work, such as account books, sumptuary law documents, diaries and friendship albums. 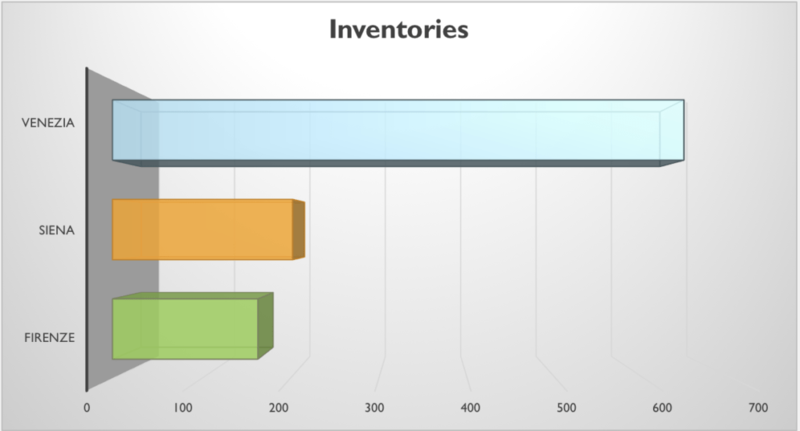 Chart showing the amount of collected inventories in Siena, Venice and Florence. By Stefania Montemezzo. 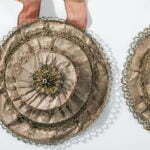 This data -and our database which will be made public in the future- will form an important basis for our future work when we think about how ordinary men and women dressed in the Renaissance period, where they bought their clothes and accessories, and how the lower social orders connected with and understood ‘fashion’. The wealth of evidence allows us, not just to speak and write about fashion dissemination in sixteenth and seventeenth Europe, but it also enables us to investigate how we can use documentary and visual data as a basis for our forthcoming historical and digital experiments, which will start next January. This will be so exciting! Breakdown of class and gender depicted in Bartolomeo Grassi, Dei Veri ritratti degl’habiti di tutte le parti del mondo intagliati in rame (Roma: Bartolomeo Grassi, 1585). By Michele Robinson. The possibility to gather and share the research material, and to be able to discuss ideas with so many bright researchers, is definitely one of the greatest benefits of an ERC project. But for me, personally, perhaps the greatest thing about this project is the collaborative nature of our work and a truly good team spirit. We have fantastic people in our team, and we are learning, brainstorming, communicating, planning, getting excited, and achieving goals together. 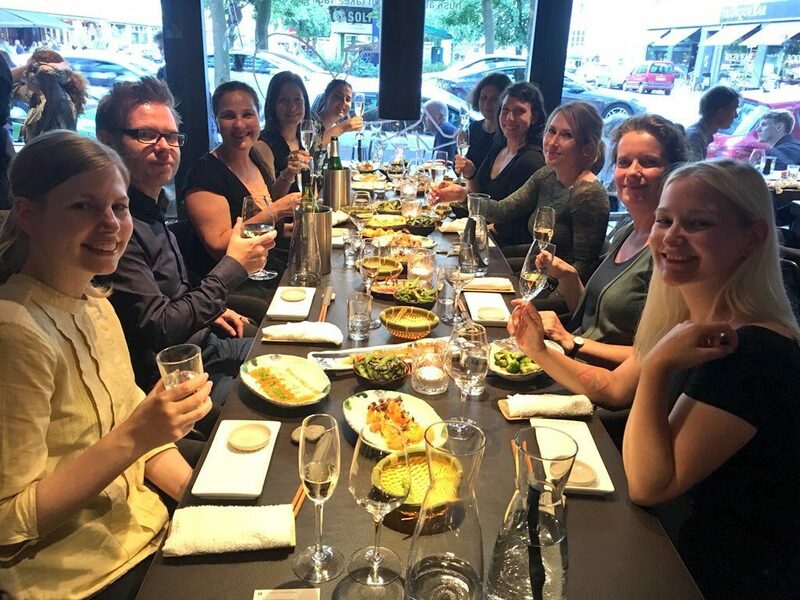 One of the highlights of our meeting was that it allowed us, once again, to spend time together and, not just work, but also have nice meals and a glass of wine after a hard day’s work! This time, we had invited another ERC project, the ARTECHNE led by Sven Dupré in the Netherlands, to join us for one of the evenings. We had an excellent dinner at Sticks ‘n Sushi, and fantastic conversations about our common interests and experiences, and possibilities for collaboration. Sharing experiences with some of the ARTECHNE project team. 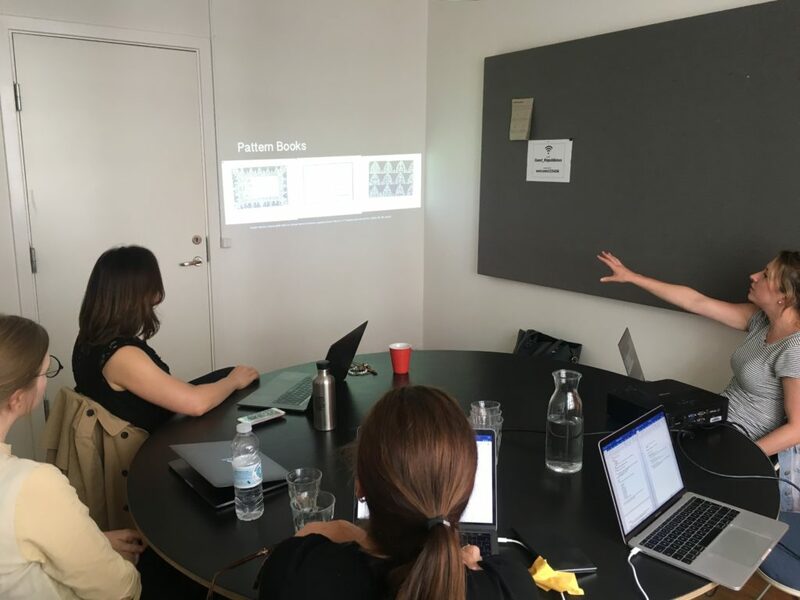 During the three days in Copenhagen, we took some important decisions about the forthcoming months: how we work as a team, what we want to achieve within the next six months, and last but not least, how we will involve the broader academic communities and general public more closely with our project. This Autumn, we will organise open lectures and set up voluntary activities around our project. If you are interested in participating, look out for the news section of our website and the newsletter for further information!